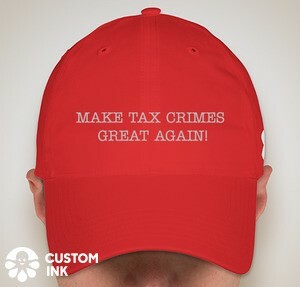 Jack Townsend offers this blog on Federal Tax Crimes principally for tax professionals and tax students. It is not directed to lay readers -- such as persons who are potentially subject to U.S. civil and criminal tax or related consequences. LAY READERS SHOULD READ THE PAGE IN THE RIGHT HAND COLUMN TITLE "INTENDED AUDIENCE FOR BLOG; CAUTIONARY NOTE TO LAY READERS." Thank you. First, the Court makes the introduction with a succinct summary of the applicable law. The IRS's authority to investigate is extensive. See United States v. Arthur Young & Co., 465 U.S. 805, 816, 104 S. Ct. 1495, 1502 (1984). Under 26 U.S.C. § 7602(a), the IRS may issue a summons for the purpose of "ascertaining the correctness of any return, making a return where none has been made, determining the liability of any person for any internal revenue tax . . ., or collecting any such liability." See also United States v. Morse, 532 F.3d 1130, 1132 (11th Cir. 2008). The summons authority is subject to limitations. Under Powell, the IRS must make a four-part prima facie showing to obtain enforcement of a summons from the district court: that (1) "the investigation will be conducted pursuant to a legitimate purpose," (2) "the inquiry may be relevant to the purpose," (3) "the information sought is not already within the Commissioner's possession," and (4) "the administrative steps required by the Code have been followed." United States v. Powell, 379 U.S. 48, 57-58, 85 S. Ct. 248, 255 (1964). Afterward, "the burden shifts to the party contesting the summons to disprove one of the four elements of the government's prima facie showing or convince the court that enforcement of the summons would constitute an abuse of the court's process." United States v. La Mura, 765 F.2d 974, 979-80 (11th Cir. 1985). However, a court reviewing an enforcement petition "may ask only whether the IRS issued a summons in good faith, and must eschew any broader role of 'oversee[ing] the [IRS's] determinations to investigate.'" Clarke, 573 U.S. at ___, 134 S. Ct. at 2367 (alterations in original) (quoting Powell, 379 U.S. at 56, 85 S. Ct. at 254). Under Clarke, a taxpayer is entitled to examine an IRS agent concerning the issuance of a summons only when he can "make a showing of facts that give rise to a plausible inference of improper motive." Id. at ___, 134 S. Ct. at 2368. Examples of an improper purpose to issue a summons include harassment of the taxpayer or "any other purpose reflecting on the good faith of the particular investigation." Powell, 379 U.S. at 58, 85 S. Ct. at 255. The district court dismissed Appellants' retaliation arguments chiefly because "[i]f information remains to be gathered and the statute of limitation has expired, the IRS has no alternative but to institute a formal summons process." Clarke III, 2015 WL 1324372, at *2. While this conclusion may be germane to the case at hand, it fails to meaningfully address the legal issue of whether issuing a summons only to retaliate against a taxpayer would be improper as a matter of law. We believe that it would. Using the summons power to retaliate against a taxpayer is akin to improper harassment of the taxpayer. The Supreme Court did not disturb our conclusion in Clarke I that "[i]f the IRS issued the summonses only to retaliate against [DHLP], that purpose 'reflect[s] on the good faith of the particular investigation,' and would be improper." 517 F. App'x at 691 (third alteration in original) (quoting Powell, 379 U.S. at 58, 85 S. Ct. at 255). The factual difficulty in differentiating between a retaliatory summons and a summons issued after a taxpayer's refusal to extend the limitations period has no bearing on this legal question. We conclude that issuing a summons for the sole purpose of retaliation against a taxpayer would be improper as a matter of law. Appellants argue that issuing an IRS summons in order to circumvent tax court discovery would be improper as a matter of law. There is ample case law in which taxpayers allege circumvention of tax discovery as an improper purpose to issue a summons. See, e.g., Ash v. Comm'r, 96 T.C. 459 (1991). However, because it is well-established that the validity of a summons is tested at the date of issuance and "[p]roceedings in the tax court do not extinguish the Commissioner's summons power," this claim is rarely tenable. United States v. Roundtree, 420 F.2d 845, 848 n.3 (5th Cir. 1969); United States v. Centennial Builders, Inc., 747 F.2d 678, 681 n.1 (11th Cir. 1984) (validity of a summons tested at date of issuance). This case is no different -- Agent Fierfelder's summonses were issued pursuant to a valid investigation of Appellants, within the limitations period, n6 and before the tax proceedings commenced. That the summoned information may assist the IRS in preparing for its case in the tax court is of no consequence -- the taxpayer became obligated to provide that information well before the tax case commenced. n6 The statute of limitation to assess a partnership return is suspended during the period in which the taxpayer may challenge the FPAA in court, or, until the court's decision becomes final, and then for one year after. 26 U.S.C. § 6229(d) (2012). The effect of this section in the instant case is that because the IRS issued the FPAA before the limitations period expired, its ability to assess and collect from DHLP is extended to one year following the tax court's final decision. Accordingly, despite Appellants' apparent arguments to the contrary, the limitations period to assess DHLP remains open. Notwithstanding the facts of the instant case, it would clearly be an improper purpose for the IRS to issue a summons in bad faith outside a legitimate investigation, with the sole motive of circumventing tax court discovery. See United States v. PAA Mgmt., Ltd., 962 F.2d 212, 219 (2d Cir. 1992) (distinguishing a summons issued after the initiation of tax court proceedings). We stress that given our deference to the IRS's broad authority to investigate, the circumstances under which a taxpayer could successfully allege improper circumvention of tax discovery are exceptionally narrow. However, we will not limit courts from examining distinct scenarios that may plausibly support such allegations. Accordingly, we conclude that issuing summons in bad faith for the sole purpose of circumventing tax court discovery would be an improper purpose as a matter of law. So, having held that impropriety by retaliation and avoidance of the Tax Court discovery rules could meet the improper purpose requirement of Powell, the Court then examined showing made and the inferences from that showing and found them not plausible. Although the district court erred in finding that the allegations set forth by Appellants could not constitute an improper purpose as a matter of law, the district court correctly found that Appellants failed to meet their burden under Clarke. Clarke permits a taxpayer challenging the enforcement of a summons "to examine an IRS agent when he can point to specific facts or circumstances plausibly raising an inference of bad faith." Clarke, 573 U.S. at ___, 134 S. Ct. at 2367. Although circumstantial evidence may support a plausible inference, mere conjecture or bare assertion of an improper purpose is not sufficient. Id. at ___, 134 S. Ct at 2367-68. Appellants' submissions raise many allegations, but no plausible inference of improper motive. First, the submission that the timeline of the issuance of the summonses supports an inference of retaliation by the IRS requires substantial conjecture that is both implausible and unsupported by the record. Further, none of Appellants' submissions suggest that the summonses were issued in bad faith anticipation of tax court proceedings rather than in furtherance of Agent Fierfelder's investigation. As conjecture and bare allegations of improper purpose are insufficient as a matter of law, we conclude that Appellants failed to meet their burden under Clarke and the district court did not abuse its discretion denying Appellants' request for an evidentiary hearing. The validity of a summons is tested at the date of issuance. Centennial Builders, Inc., 747 F.2d at 681 n.1. Despite this, Appellants argue that the December 2010 issuance of the FPAA foreclosed the IRS's legitimate need for the summoned information. Appellants urge that the only conceivable use for the summoned information would be to improperly circumvent the tax court's discovery rules, and the enforcement of these summonses was an abuse of the district court's process that should be reversed. We conclude that Appellants' argument is unpersuasive as it ignores Appellants' statutory duty to comply with the summonses and overstates the impact of an FPAA on the IRS's investigatory authority. See 26 U.S.C. § 6230(h) (2012) ("Nothing in this subchapter [i.e., TEFRA] shall be construed as limiting the authority granted to the [IRS] under section 7602 [the summons provision]. "); United States v. Couch, 409 U.S. 322, 329 n.9, 93 S. Ct. 611, 616 n.9 (1973) ("The rights and obligations of the parties [become] fixed when the summons [is] served. "); PAA Mgmt., 962 F.2d at 217 (issuance of an FPAA does not render a later summons illegitimate); Sugarloaf Funding, LLC v. Dep't of Treasury, 584 F.3d 340, 349 (1st Cir. 2009). Because neither the issuance of the FPAA nor the initiation of a challenge in the tax court affects the IRS's investigatory authority under § 7602, Appellants failed to rebut the IRS's prima facie showing under Powell to bar enforcement of the summonses. That the IRS could conceivably attempt to introduce evidence from these summonses in the pending tax litigation does not rise to the level of an abuse of process contemplated by Powell. Further, it is the domain of the tax court to control discovery in the pending tax litigation. Ash, 96 T.C. at 470-71. Our concern is whether the summonses were validly issued, and -- as the district court correctly found -- they were. Accordingly, the district court did not err in enforcing the summonses. JAT Comment: The bottom line is that the opinion reinforces that avoiding summary enforcement once the IRS makes the Powell prima facie showing will be possible but extremely rare. Necessarily, each case will be decided on its unique facts, but merely raising possible improper purposes is not the same as showing plausible inferences of improper purposes. Please make sure that your comment is relevant to the blog entry. For those regular commenters on the blog who otherwise do not want to identify by name, readers would find it helpful if you would choose a unique anonymous indentifier other than just Anonymous. This will help readers identify other comments from a trusted source, so to speak. © John A. Townsend. Simple theme. Powered by Blogger.